Exactly seven weeks ago, we landed in Hobart. Today, we picked up the keys for our new house. We walked around the light, bright empty rooms, imagining how they will look and feel when we move in next weekend. I can’t wait to see them, crammed to bursting with our books and rugs, our paintings and photos, our love and our laughter. As we were leaving, DorkySon plucked a perfectly ripe fruit from the tree that grows in our new garden. « A wobble. And a thank you. Wow, 7 weeks have gone so quickly! So happy that you have found a house you can make a home. Thinking of you all lots and lots. 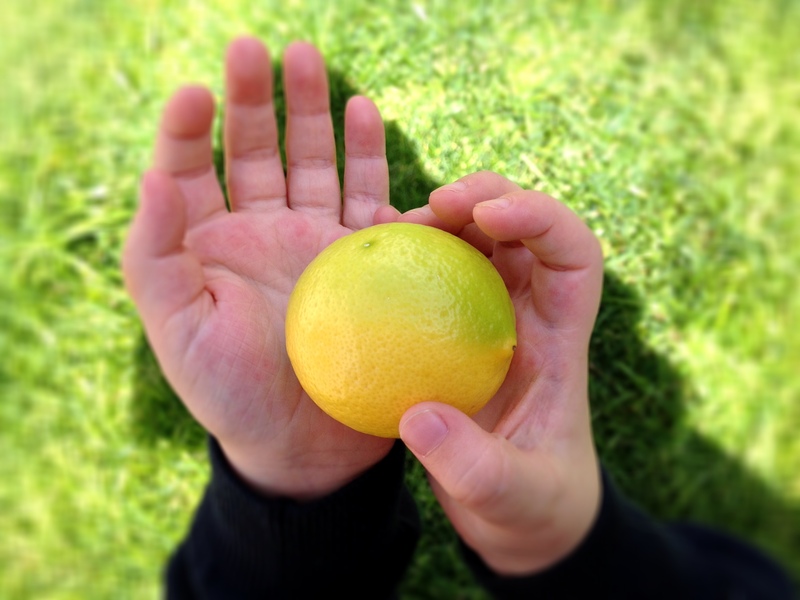 Having one’s own lemon tree is truly one of thgreatest joys we have known… Do you have other citrus? If you can grow lemons, you can take on oranges, limes, tangelos and more! Congrats on the new house and good luck with the final move!